Ok, so we like the idea of it. We’re planning a programme of workshops and we’re thinking about how the outputs will plug into everything else the business is doing. 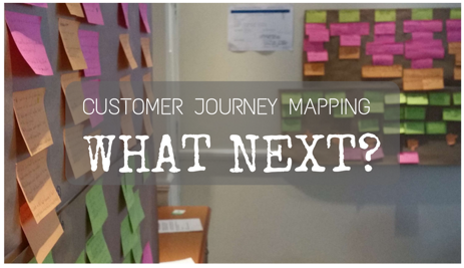 But, just where do we start with customer journey mapping? Which experiences should we focus on first? After all, there are so many to chose from: do we pick the ones we’re most familiar with? The ones that generate the most complaints? Or the ones that will give us the greatest value? We can’t do them all at the same time so we need to prioritise; in other words, decide “who” is doing “what”. The persona/journey combination you choose will depend on a raft of considerations. That will include your business goals and the maturity of your existing CX culture but taking time now to find clarity will pay huge dividends in the future. 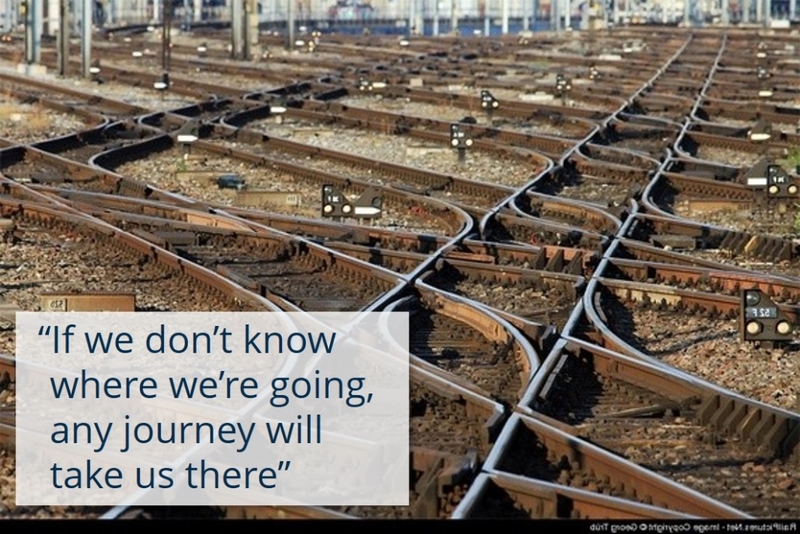 Customer journey mapping must be done in a strategic context, not in a vacuum or rushed. It must be effective in its methodology and its output must drive change. If it fails in any of those things, we’ll have a fun and engaging, but ultimately wasted, time in our workshops. And if that happens, not surprisingly, everyone will drift back to their day-job and next time we mention ‘Customer Experience’, eyes will roll sceptically. We’re also not looking at creating a process map here; rather, it’s about what it’s like to be on the receiving end of your processes. Get it right though and you can share compelling stories that reshape the corporate mindset and behaviours. Your people learn more about their role in the business, you build a narrative around what it’s like to be a customer and you create that all-important internal momentum and excitement. You’ll prioritise your interventions with greater confidence, know where to take out unnecessary costs and know how to focus on creating innovative improvements. 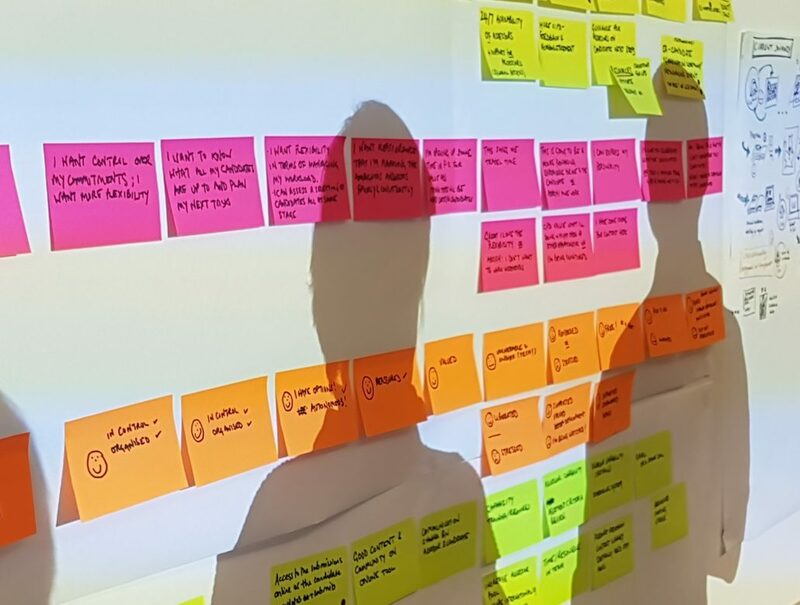 Customer journey mapping is a powerful tool. But, back to basics. To get it right, we need to be clear about whose story will the journeys tell. Deciding that can be easier said than done. Think, “Who, what, where, when and why?”. Just by taking the number of customer, employee and stakeholder personas, factored by the reasons they each might interact, the ways they interact and the products or services they’re engaging with and, at best, the permutations can run into the hundreds. You know instinctively – the one(s) you’ve been thinking about as you read this; the proverbial ‘burning platform’. Where is the investment in your brand promise being undermined? What is the issue everyone talks about or worse, the one everyone just dismisses as a barrier “because it’s always been that way”. If you could map only one journey, what would it be? Which customers do you want more of? – use the insights from your data to identify which customers or partners are most valuable to you. Where does your revenue come from? The most profitable? The most likely to be active advocates? Work backwards from there, understand what they value and what the nature of their journey with you is. High profile or political issues – it may not be a customer’s most significant journey but there’s an internal imperative for getting this one right. While the platform might not be burning as such, you know beneath the surface it’s smouldering and could ignite at any time. Showing the customers’ perspectives will help nudge everyone into action sooner than later, reducing the associated risk and snuffing out any complacency. Be guided by your purpose, ambitions and CX Strategy – your values, strategic intent and corporate objectives will direct you to where your priorities are. How does today’s journey compare with what it should, ideally, be? Where are the gaps between today and how good you want to be? For example, if you set out to be “Earth’s most customer-friendly business”, you might look for the journeys where customers have the greatest interaction with your people. Complaints, customer feedback and operational metrics – an obvious consideration, but your data analytics and qualitative feedback will be a good signal of where to focus effort. 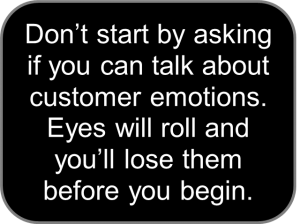 However, we know most unhappy customers don’t complain so don’t ignore the journeys where there may be less obvious signs of frustration. You might (should) also consider mapping the journey of when a customer complains or goes to the effort of giving you feedback. Look beyond typical customers – thankfully we’re not all the same but processes tend to assume we are. For example, people with a disability and their families need to interact with the environment you create; I’ve often seen that if we get things right for people with a physical or cognitive disability we get right for everyone else too. And how do you deal with customers who are apoplectic with rage? They might be spitting blood because of the downward spiral created by your processes’ lack of any empathy rather than because they are simply nasty people who deserve to be ignored. Not just customers – employees, partners, third-parties and stakeholders will all benefit from having their journey mapped. For example, it might be you can map a Customer Success Manager’s experience of getting a new client up and running. Or map what it’s like to go through your recruitment process to joining on day 1. If your employer brand talks about being a ‘meritocracy’ or simply a funky place to work, mapping out the journeys gives you plenty of evidence and stories to showcase your promise. If you outsource part of your branded experience, how easy is it for them to deliver the experience you want? Be realistic about the scope – your customers’ journeys rarely begin at their first contact with you and most likely will continue well after their last. This is about how you fit into their lives, not the other way around. Keep it focused on understanding their experiences, not auditing your process maps. Often, today’s journey begins at the end of their last journey with you; a passenger turning up for a flight may still be seething about the lack of information from their delay last month or still has anxiety caused by an emergency landing the previous time. Can you show empathy there? Still not sure? – get your team together and jot down the typical interactions a customer has with you over the life of your relationship with them. Organise them by themes and in chronological order. Some may last months or years; others may take minutes or seconds. But make a list and begin to pick them off one by one. If you do nothing else in the name of customer experience, do some customer journey mapping and see where it takes you. What governance framework will you pour your outputs into? How will you keep the momentum going, communicate internally and avoid the maps gathering dust? 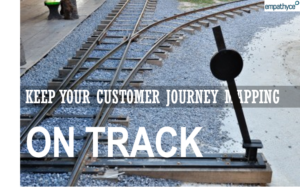 When and how will you get the journeys validated by customers? Until then, the maps will still remain an internal view of the world. How will you use journey mapping as a stimulus for innovation using Design Thinking or ethnographic techniques? 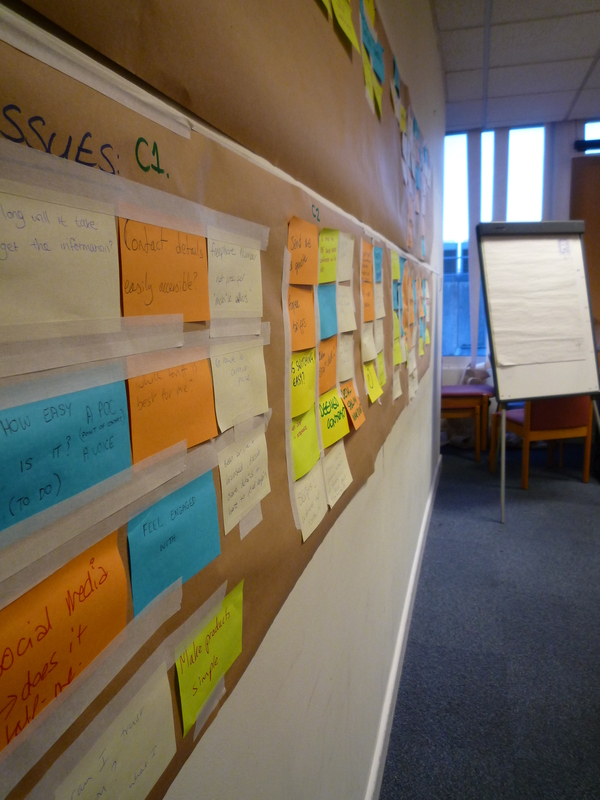 Journey mapping is well worth the time and effort. It can be fun and creates ready-made cross functional teams of customer supporters. But, it does need careful planning if it is to support your strategic priorities, if it is going to be effective in its questioning and if it is going to influence what actions you take next. I’m Jerry Angrave and I help people in organisations create better and more commercially-minded customer experiences. I’m a CCXP (Certified Customer Experience Professional), a CX consultant and am one of a handful of people globally who are authorised by the CXPA to train CX professionals for its accreditation. Do get in touch if you’ve any comments on the blog, any questions around the wider competencies of CX or are interested in consultancy or training support. The varied and vital role played by customer experience professionals was put under the spotlight last week at the CXPA’s European Insight Exchange in London. Attended by CX practitioners from Spain, Finland, France, Ireland and Zimbabwe as well as the UK the event showed that wherever we are, the expectations of what customer experience people can do for a business are rising just as quickly as consumers’ own expectations about what the business can do for them. Mark Horsley, CEO of Northern Gas Network spoke with an understated passion about creating the right environment for his people; allowing them to be heard, to flourish and to contribute in a way that gives customers better experiences. Mark is CEO of an organisation whose customers have little choice and so could be forgiven for being more transactional than relationship-focused. Nothing could be further from the truth and it was refreshing to hear customer experience’s positive double-whammy being reinforced; it’s not just about doing the right thing but a stronger, more certain business future will follow too. It’s always easier said than done and even the many awards Northern Gas Network has collected have not come about overnight. In that context, the CXPA event helped share challenges, solutions and lessons learned, providing valuable insights and much food for thought. I was privileged to lead one of the sessions on the role of the Customer Experience Professional. It’s a subject hounded by many questions. How, for example, does the role change depending on how senior the person is or how mature their company’s CX is? Is it about helping everyone to “get it” or about galvanising sceptical stakeholders behind a common goal? Is it about stopping the business making mistakes by bringing to life the reality of what it’s like to be a customer? Or all of the above and more? In searching for answers there were common, related themes including: driving a customer agenda can be a lonely place, it’s difficult to spur people into action when there’s no burning platform and the size of the task can be overwhelming. The Insight Exchange provided some clues as to how might we overcome these challenges. It’s often the case that organisations who need a CX focus the most are the least open to change. Where the hard focus is purely on costs, revenue and operational metrics it takes a brave person to bring up the subject of emotions and the laws of unintended consequences. Yet where that happens, the biggest positive changes can occur too. The advice is to find peers who are of the same mind, who understand that by stopping the things that customers don’t value or by fixing the causes of niggles and complaints there are quick wins to be had. I’ve seen it work at some of the largest companies in their sectors globally; it’s not a Hollywood script but one person starts with passion, belief and a real customer understanding and before long people right across the business are sitting up and taking notice. In the the early days it may take the form of chats in the coffee queue or creating a “Customer Experience Steering Group” but by being the catalyst, creating a movement from within and armed with proof of concept, the conversations at more senior level becomes much easier. The ‘do nothing different’ option is very tempting in an organisation that is – possibly unintentionally – myopic and complacent. They say: “We’re making money, we have satisfied customers and our employees know how their performance is measured. Why change?”. 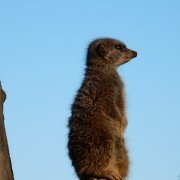 As a customer experience professional we can help them see things differently. We can show them how expectations are changing and rising exponentially, driven by companies they interact with and read about in other sectors. We can show them the true sentiment in the customer satisfaction surveys and how they are not measuring the things that customers say are now most important. We can get under the skin of the employee survey to find out from those who know the processes best about how work-arounds and hand-offs are broken and are running inefficiently. There may not be an obvious platform burning brightly but what company with an ambition for long-term survival would not want to extinguish and smouldering embers underground before it’s too late. The nature of customer experience means that as a way of thinking it can help pretty much every part of the business. Whether informing strategic decisions, helping to mitigate risks or defining brand promises, CX has a role to play and with it, a raft of desirable actions. In theory at least, we have the ability to understand whatever we need to about our customers. We can have as much data as we can process. Some actions will require a quick conversation to tweek a process and some, like changing the culture, will be longer-term. All though are necessary and therefore it can be a daunting prospect. There were two suggestions here. Firstly, don’t try to do everything. As with the burning platform, keep one eye on the bigger picture but use short-term quick wins to gain momentum and start changing things, little by little. Not everything needs weeks and months courting stakeholders to prepare a business case. The more people can see the positive impact the more doors will be easier to open. The breadth of advocates will grow, more resources will become available and the right changes will happen. Eventually it’ll just become the way the organisation does business. The second, linked, point is the prioritisation process. By understanding what touchpoints in a customer’s journey are most important and how well they are delivered, the focus straightaway is ensuring the areas that matter most are done consistently well or on stopping wasted effort where things are not valued. 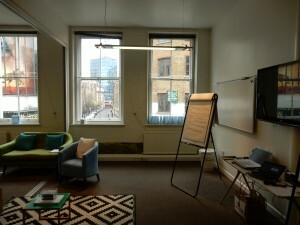 The Insight Exchange was just that; swapping thoughts, ideas, lessons learned the hard way. Many left inspired, many were reassured that they are already on the right lines and many headed back to the office with new ideas about tackling their biggest challenges. What is clear though is that the true role of a CX professional goes way beyond most job description templates. In an ideal world, customer experience people would do themselves out of a job when the business becomes self-regulating. The good news, or bad news depending on how you look at it, is that on the whole we’ve a long way to go. As co-Chairman Ian Golding put it, the day had the look of a counselling session given how significant the challenges and opportunities, in equal measure, are. It’s what makes it such a compelling and rewarding profession. Thanks for reading the post, I’d be really interested to hear what you think. I’m Jerry Angrave, specialising in customer experience consultancy and professional development. I’m a Certified Customer Experience Professional and an authorised trainer for the CCXP exam. Do get in touch if you’ve any questions – I’m on +44 (0) 7917 718072, on email at [email protected] or on Twitter @JerryAngrave. By applying a little customer experience scrutiny to traditional segmentation models we see their limitations. 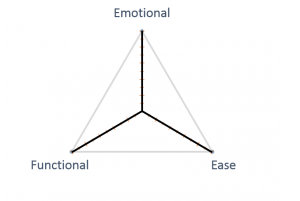 Being more empathetic with real people rather than grouping customers with similar profiles helps turn successful short-term activity into a differentiated, more profitable and sustainable business. 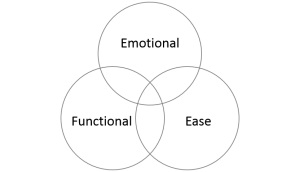 When creating a segment there is by definition an assumption that we can find round pegs to put in the round holes we make. We profile customers into a group that allow us to predict that they will respond in the same way to the same messages. They have similar behaviours, similar lifestyles, similar needs. And, by and large, that approach works – but it could be so much better. The principles of customer segmentation have been the bedrock of marketing activity for decades. They are used to design new customer experiences and spawned an industry where sales leads are now created scientifically by analysing vast amounts of data in the name of customer lifetime value. The problem is therefore two-fold. On the one hand, traditional approaches to segmentation risk retaining an inward-looking business-centricity around one question: “How can we sell more?”. Secondly, segmentation models are easy to replicate by competitors and are therefore not driving the differentiated and better experiences that are key to business survival. That step, to move beyond the same segmentation principles as our competitors requires a different perspective; that of the customer experience and therefore – not surprisingly – the customer. Whichever segment a customer falls into, and let’s remember while reading this that we’re all people and we’re all customers, it is irrelevant when we’re dealing with a company. What matters to me as a customer is that I get done what I need to quickly, easily and in a way that makes me feel I would do it all again if I had to. Today, it’s much less about how many kids I have, which postcode I live in, whether I run my own business, what products I’ve bought previously or how I spend my spare time. As people we all have life going on around us when we interact with a business. 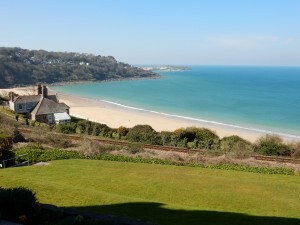 It is the one small window a company has to make the right impression. I’ve worked in and with large corporates where there is (sometimes unintentionally) a real belief that the customer’s life revolves around them. There are over 525,000 minutes in a year. More than half a million of them. And with many companies we do business with, they are only getting a handful of the most precious of commodities that we possess. As customer we want to make the most of them, get things sorted when we need to and move on. By their actions, the impression many businesses give is that customers are never far away, that customers will amble into their world, drift around their processes and then tell everyone how great it was. That’s not the real intention but that’s often how it feels. Try to use your products and services while sat on your own in a wheelchair. Then try it with a blindfold on or one arm tied behind your back. Give each of the directors a task that a customer might do and make them do it irrespective of their schedule within the next 24 hours – it’s only what we as customers have to do. I wrote recently about how companies can learn from those with physical or mental disabilities. Organisations will see a benefit in all their customer experiences and therefore commercial results by stretching the thinking to understand better the world of customers who have, or care for those who have, disabilities. It’s the same here. Some scenarios may rarely happen but the point is that taking a genuine customer perspective and building experiences, processes and communications around that rather than limited segmentation models, experiences that work at the margins will be brilliant at the core. It shows where the weaknesses are and where opportunities for making the right changes lie. The insights that get flushed out help bring the reality of what customers experience to life for those who need to see and hear it. A great example I came across recently was a customer experience lead who wanted to drive the message home about the difference between what the brand promised and the appalling wait times in the contact centre. Her Executive meeting started then immediately and to the surprise of all present was put ‘on hold’. She played a recording of the music customers hear for the average time they hear it when they try to call to buy, or need help. Uncomfortable? Yes. Brave? Absolutely. Impactful? Without question. And in the kind of scenarios we’ve talked about here, even more effective at inspiring change. It’s a bit like shooting for the stars if you want to get to the moon. Segmentation will take a business so far. But building experiences based on genuine empathy will ensure that when customers need you most, or simply they interact on a routine basis, there’s a much greater chance that the way it’s done will keep them coming back and telling others to do the same. And that’s what it’s all about. If you’d like to know more about this or any other strategic or tactical aspect of customer experience do please get in touch – I’m on +44 (0) 7917 718 072 or email [email protected]. My background is as a CX practitioner in the corporate world. 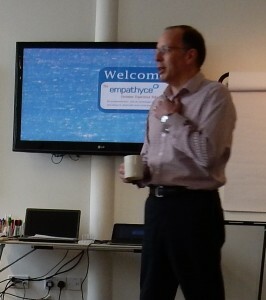 That’s the foundation for me being an empathetic customer experience consultant. I also run workshops and speak about customer experience at events across Europe. I’m a Certified Customer Experience Professional and a judge at the UK Customer Experience Awards. Thank you, I hope you found the post interesting and thought-provoking, and please feel free to get in touch or add your own views below. The build-up to this week’s election in the UK has been rooted in uncertainty. If the media reports are to be believed, no single party has been persuasive enough to win over the backing of a majority for the changes they believe in. Time will tell. 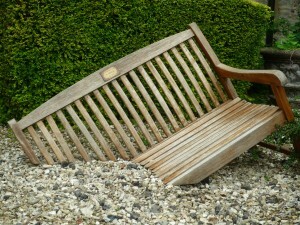 It also provides topical food for thought about the role of the customer experience professional in influencing change. For those leading and managing customer-led change it can be a daunting prospect. Understanding what to do and how to do it is one thing; convincing others is quite another. Metric-obsessed stakeholders, divisions that operate with seemingly no common objectives and teams that should but don’t talk to each other are just some of the regular barriers. Finding a little, genuine, inspiration is hard to come by. 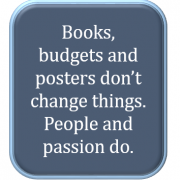 Books, budgets and “We put customers first” posters don’t change things. People, attitudes and belief do. 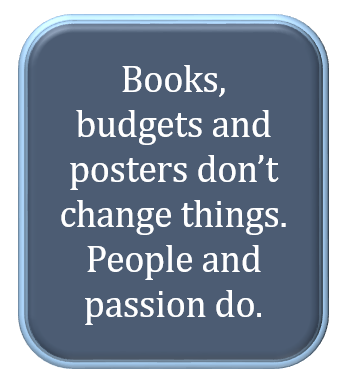 And more often than not the biggest changes start with the smallest steps; people sharing their passion. In my job as a customer experience consultant I get to meet many people who are pushing the agenda forward with one hand while having to pull the organisation along with the other. One example in particular stands out. A global organisation that generates annual revenues in excess of $40 billion became complacent about its big numbers. Unintentionally, it put increased competition and disenfranchised customers into its blind spot. Cutting margins to sell more and aggressive M&A activity only mask the underlying issues. But the passion of one of its 75,000 employees is bringing about a huge change, one that is making the company redefine and renew relationship with customers it thought it knew so well but in reality was clinging on to them by a thread. How? Rather than try and change everything all at once, a series of small steps is leading to a giant leap compared to where they were. One individual, armed with passion, knowledge and evidence about what an authentic focus on customers can achieve commercially. 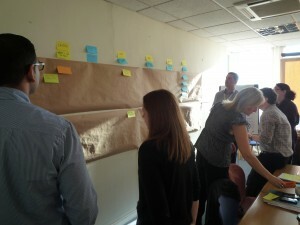 He engaged people close to him and showed how customer experience thinking can help them achieve their own objectives. He initially built a small group of highly engaged people at all levels who then in turn shared the belief about what the right changes could bring with their stakeholders. From there, the engagement spread using sometimes brutally uncomfortable customer feedback as the catalyst. It’s just the start, but that company is changing its own culture, it is actively immersing its employees across many countries in customer experience and revising its activity plans. If an organisation has personality, this one is showing real signs of the passion and belief of the individual who started the change. It is starting to bring about the right changes effectively and efficiently rather than doing as much “stuff” as it can in the hope that a proportion of it lands ok.
One voice, with real belief can make massive changes with the momentum it creates. One other timely example comes from this week’s election. The political colours of my home town Cheltenham have at various times been Conservative blue or Liberal yellow. But not the red of Labour. Having lived there most of my life I cannot even remember seeing a red poster stuck in the front window of any house at any election. Until now, due to the passion and belief of one person about doing what he believes is the right thing. Paul Gilbert is CEO of a successful management consultancy showing in-house lawyers around the world how to fulfill their potential and how to be better business people. But this week, Paul also steps up to be counted as the Labour party’s candidate to be Cheltenham’s MP. As an aside, his politically agnostic post here about why voting is about us rather than a specific party is well worth a read. This is not a blog to promote one party over another. It is about having the confidence in doing what is right that leads to the first small signs of change. Even Paul would admit that based on past performance the party HQ statisticians will say a victory is highly unlikely. But in a population that looks in one direction he has managed to get some to look at things in a different way. It started with one small step; to simply talk about what he believed in and why. His generous, self-depreciating approach hides one of the sharpest minds and the empathetic way he communicated made people sit up and take notice. As a result, he became a parliamentary candidate for the town and such is his passion that strangers are now happy to advertise to the world that they will vote for him. Don’t get me wrong, we are not about to see a political upheaval. The signs appearing might be few in number and small in size but they are a metaphorical sign that as daunting as changing other people’s own beliefs may be, it is possible. In the coming days and weeks we may hear a lot more about the Citizen Experience as the election events unfold. In the meantime, the rest of us don’t need to convince a whole country that voting for customer experience is the right thing to do; if we share the passion and belief, big changes can start to happen, little step by little step. What are your thoughts on leading the very beginnings of change? Customer Experience – what’s your problem? What’s your problem with customer experience? Or, to put it another way, what is it that gets in the way of designing and implementing an effective customer experience strategy? 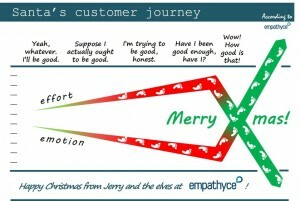 Such customer experience problems were the source of much debate recently when I had the pleasure of hosting the Empathyce TakeAway event in London. There were no presentations, those who attended set the agenda; we simply had rich and highly relevant conversations around the room where everyone could offer their insights on addressing others’ issues and get feedback on their own. It was interesting to see further validation that whatever the sector there is a thread of common issues. My co-host for the day was good friend and customer experience specialist Ian Golding – we were joined by people who worked in B2B and B2C (or, more accurately, P2P: People to People) from markets that included aviation, travel, property development, communications, legal services and social media. And yet there was hardly a single issue that was the preserve of only one market. Top of the list and driving everything else was culture. Especially, the gap between how customer-centric organisations tell their stakeholders and employees they are and what they are in reality. A big part of a customer experience professional’s role is to influence where there isn’t direct authority but in an ideal world that wouldn’t need to be an issue. Having the right culture removes the need to influence others in the organisation who either can’t or don’t want to see beyond their process, metric or product focus. It’s easier said than done, it can be a lone voice to start with but is absolutely critical to any success. Another hot topic is the conundrum created by the tension between personalisation and digitalisation. As a consumer, we want timely and relevant information but we also don’t want it cross a line into being intrusive, noisy and over-bearing. However, as a business we can be seduced by the promises of efficiency that digitalisation, self service and big data can bring. Technology allows us to make things incredibly personal, but it must be the customer’s definition of personal, not ours. I also can’t remember a time when breaking through internal silos and aligning everything wasn’t a concern. And yet getting people in the same company to collaborate, to understand each other and to work to the same priorities remains a significant challenge. It’s another sub-set of the culture issues; there’s no point in having a customer experience team working their socks off to champion the cause if in another part of the business teams are motivated and rewarded by the ticking of non-customer boxes. Talking of which, measurement is always a fascinating subject. Using the right type of measurement, tracking the right thing, understanding what the results are saying and sharing them in a way that brings about the right change are all customer experience fundamentals. Again, despite all the customer-rhetoric, especially in metric and process driven organisations, there always remains the risk, often a reality, of obsessing about the number at the cost of knowing what is making the numbers what they are. Armed with endless mugs of coffee and delicious food at the fantastic (and thoroughly recommended) Wallacespace, we continued to share experiences and views on how companies address these issues and more; the psychology of queuing and its false economy of processing efficiencies, capturing and doing something about the niggles and gripes rather than just focusing on complaints and the use of social media and gamification to nurture customer engagement. What is your problem? The issue I’ve touched on here only scratch the surface so I’d love to hear what your most pressing customer experience challenges are or how you’ve seen others overcome. Wherever possible I’d urge you to talk to others outside your business, outside your market. Chances are, whatever you are dealing with someone, somewhere will have some helpful thoughts. Forgive the plug but we’ve had some great feedback about the Take Away event so if you’re interested in attending one of the next ones there are more details here. Ian Golding is alway worth listening to about what makes good or bad experiences, what to do next and how to make the right changes so have a look at his blog over at ijgolding.com. Of course talking about it is only the beginning. 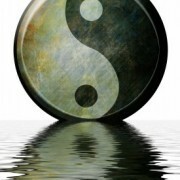 The real benefits start happening and problems start disappearing only when there is action; the right action. https://empathyce.com/wp-content/uploads/2014/08/logo.gif 0 0 Jerry https://empathyce.com/wp-content/uploads/2014/08/logo.gif Jerry2015-03-27 14:33:382015-03-27 14:38:11Customer Experience - what's your problem? “We need to think like a retailer”. Really? In listening to those who are looking to improve customer experiences, I’ve heard two very different opinions from the aviation industry this year on where the aspirations lie. The airline: “We should think like a retailer who happens to run a fleet of aircraft”. The airport: “If you think like an airport you’ll never really understand your customers”. As a passenger, I know which way of thinking I’d rather be on the receiving end of. To those organisations in any industry who aspire to think like a retailer (code for “sell more”), I have a suggestion. Why stop there? Why not have the aspiration to make your customer experiences so easy, consistent and cost-effective that it is the retailers who are the ones who look to you and say “We need to think like them”? One of the biggest challenges we see in creating a truly customer-focused business is the lack of clarity among employees about the overall strategy. Or, a brand that creates expectations but then has little robust structure to deliver what it promises. Whatever market we operate in, an aspiration to improve is of course admirable. But we need confidence in our own business model. Surely, we don’t want to give our employees the impression that we don’t back ourselves so we’re going to act like someone else. That message, intended or not, isn’t what will drive the right behaviours and engagement. It’s a similar risk with searching for and emulating best practices carried out by competitors. In reality, it’s never that straightforward but if we replicate what they are good at we will, by definition, only be the same as them. And in today’s world, we need to be different and distinctive. The bar of expectations is rising relentlessly so yesterday’s best practice quickly becomes today’s norm. And it’s not always about the “Wow” moments – getting every basic element right every time is, for sure, a best practice that others will aspire too. I hear a lot about the need to think like a retailer and I applaud the intent. Retailers have some great experiences but they have a lot of very average ones too. Yes, they sell stuff and most organisations are looking for ways to increase revenues. But I’m still firmly of the view that while we can learn from others, it is critical to aspire to get the customer experience right for our own business first. In doing so, we then become the one that everyone else looks to as the role model. https://empathyce.com/wp-content/uploads/2014/08/logo.gif 0 0 Jerry https://empathyce.com/wp-content/uploads/2014/08/logo.gif Jerry2014-09-30 08:33:222015-03-26 12:33:24Will thinking like a retailer improve customer experiences?